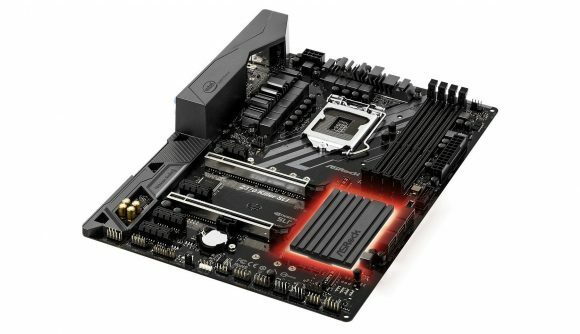 All the motherboard vendors have been falling over themselves to confirm that they are providing BIOS updates for the upcoming new Intel Coffee Lake CPU refresh, with Asus, MSI, and Gigabyte all confirming support for the new 9000-series processors. But one thing none of them has done is to directly confirm Intel’s eight-core CPU plans, until ASRock joined in. Funnily enough this surely NDA-breaking bit of information has now been removed from the microsite, probably after someone at head office realised their mistake or after Intel had a quiet word in their shell-like. After all, despite all the SiSoft Sandra and 3DMark database leaks, Intel has at no point confirmed that it will be selling a new eight-core, 16-thread Coffee Lake CPU. ComputerBase captured an image of the ASRock microsite before it was amended, and you can clearly see how excited ASRock were about the announcement. That’s not the only interesting tidbit from the page, however, as it also points out that the H310 chipset may struggle to deal with the new CPUs. 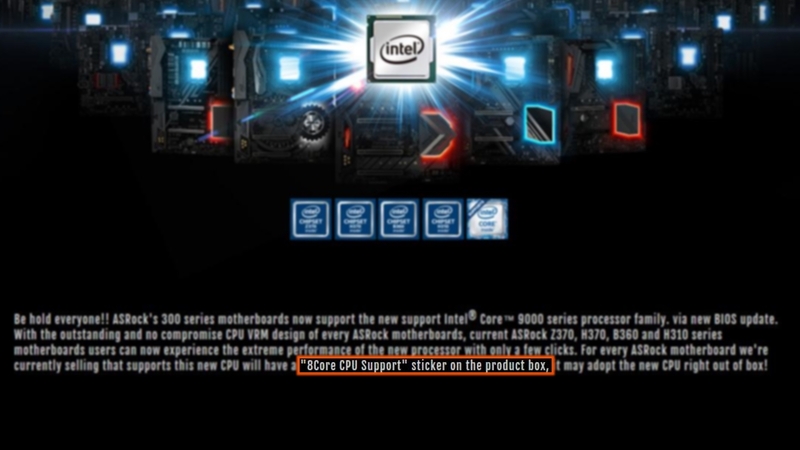 At the bottom of the page, behind the asterisks under the H310 BIOS updates, ASRock points out that “the performance under heavy load may be compromise due to the higher power consumption of intel 9000 series processor.” We’re guessing that’s just going to be the big boy Core i9 processors with the extra two cores, because as far as we know the rest of the Coffee Lake refreshes are going to carry the same general power draw as their 8000-series progenitors. With all the noises coming out of the motherboard vendors we can’t be far away from Intel launching the new CPUs. The company isn’t appearing at Gamescom this month, however, so don’t expect to be getting new graphics cards and processors in the same week.